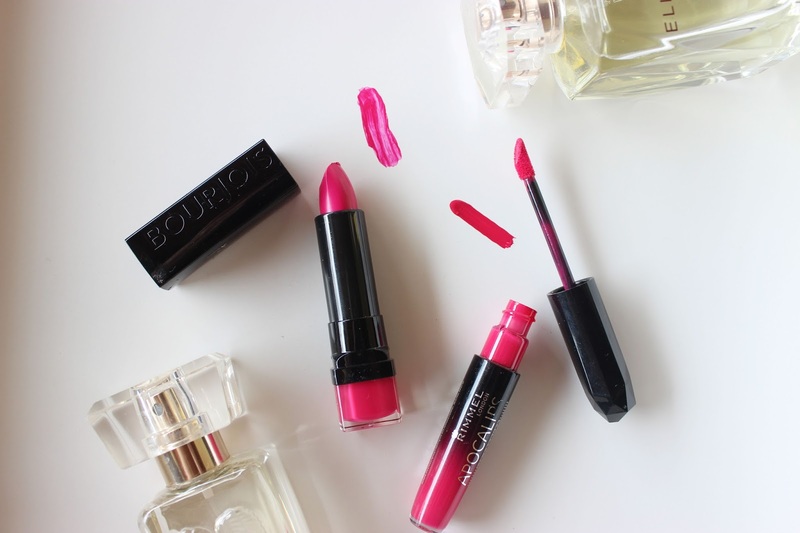 The first fuchsia lipstick I have been loving is Bourjois Rouge Edition in 07 Fuchsia Graffiti. This is a new addition to my collection and it is gorgeous! Although I think I got a bad egg because mine has 'scrub particles' which does not make it the smoothest to apply on the lips, but other than that, it's a great product. It does fade after 3 hours so if you want to maintain the intensity, re application is a must. It feels hydrating at first but it can be a little bit drying after 2 hours. Also, worth noting that Bourjois has higher prices than other drugstore brands (this was Rp172000 I think). The second one has been in my collection for quite a while, but back in the day I was not very brave to wear this a lot. It's Rimmel Apocalips Lip Lacquer in Apocaliptic. Everyone's going bananas over liquid lipstick right now, I suggest giving this one a go. It's a hybrid between a gloss and a lipstick, so it is not matte. I find that it's better to apply directly from the doe foot applicator than using a lip brush as it can get pretty messy--either that or I just have crappy lip brushes. It feels comfortable on the lips and one layer is enough as it applies evenly and pigmented. 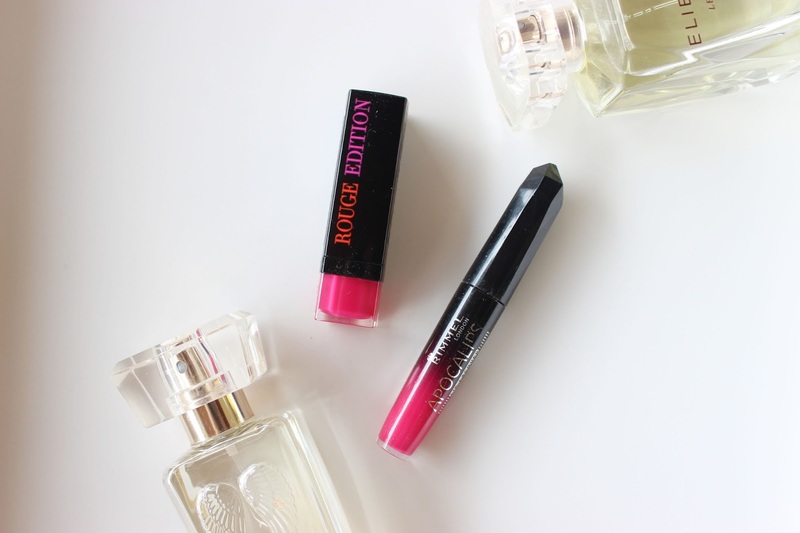 I love the Bourjois one but too bad it can be a bit drying on the lips.